[San Francisco] : Awkward Ladies Club, 2005. Octavo, printed wrappers, pp. , illustration. 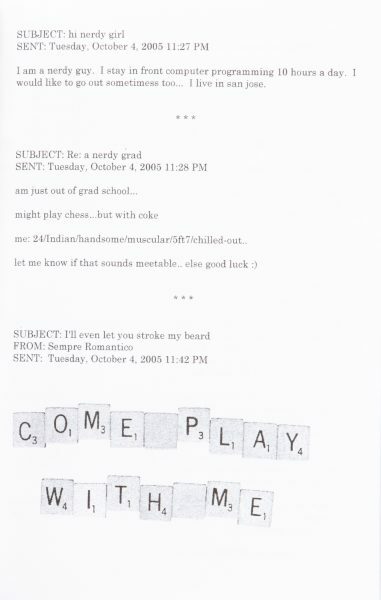 Copies of responses to an ad placed on Craigslist to date the 23 year old author. The responses from the dudes range from sweet, insecure, arrogant and offensive. 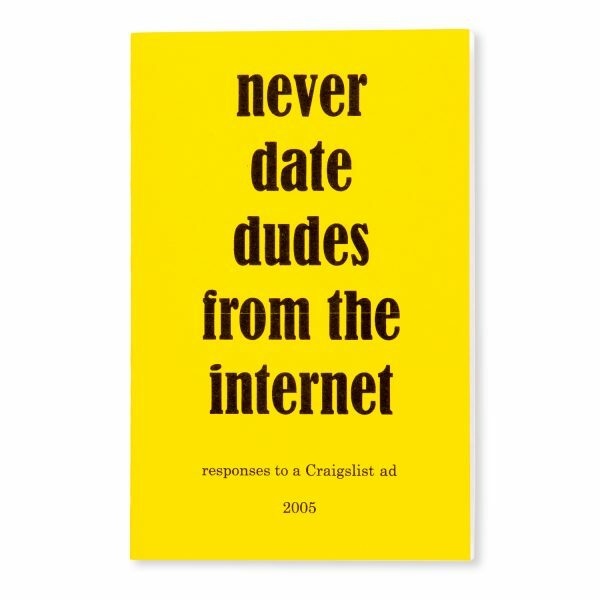 An early document of the phenomenon of online dating which has now swept the world.